We now offer rolling security doors that are specially designed to fit sliding mobile shelving units. 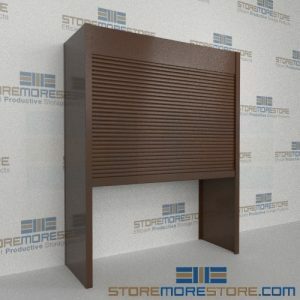 These doors provide extra security to your stored items while also providing a neat and clean look to your storage area. Optional motorized doors with remotes are also available for hands-free operation. Standard door kits include two end panels, doors with locks, hardware, and manual operation. Units over 12′ wide will have two doors, and units over 24′ wide will have three. Sliding mobile shelving allows you to reduce your storage footprint without sacrificing accessibility, and the rolling doors are a new option available to add an additional level of security. While this can be accomplished with regular hinged doors, there are multiple benefits of adding roll-up doors to your mobile shelving instead. While it would require three or four hinged doors to secure the same amount of shelving, you only need one roll-up door since it can span up to 12′. And as their name implies, the doors roll up rather than swing out into the room. This means you don’t need to make extra space in front of the unit, and the doors will still open if items are set in front of them shelves, whereas hinged doors would be blocked from opening. Rolling security doors for mobile shelving are available to buy online. 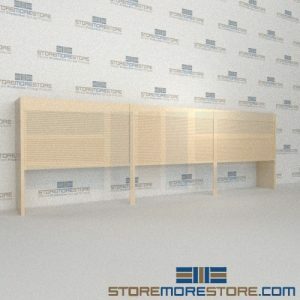 Simply click on the mobile shelving configuration you have or want, and there will also be a link available to purchase the compatible door. For additional assistance, utilize our online chat with a sales representative or call us at 1-855-786-7667.